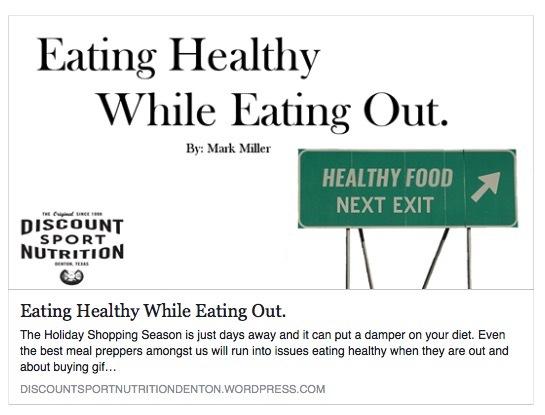 Check out the latest Nutrition Blogs from Mark Miller of Discount Sport Nutrition in Denton. 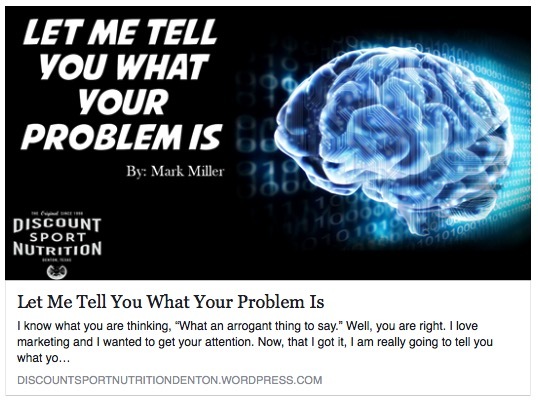 To access any of his published blogs, just CLICK HERE! 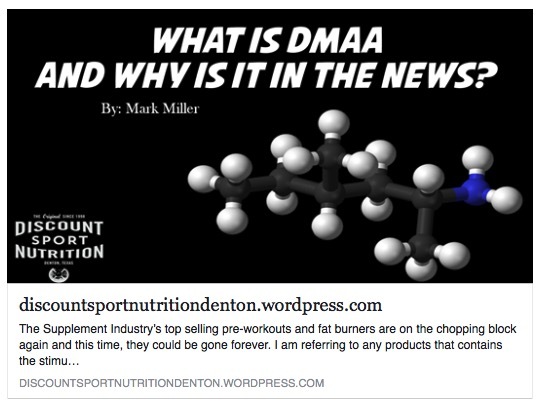 What is DMAA and Why is it in the News? Let me tell you what your problem is!